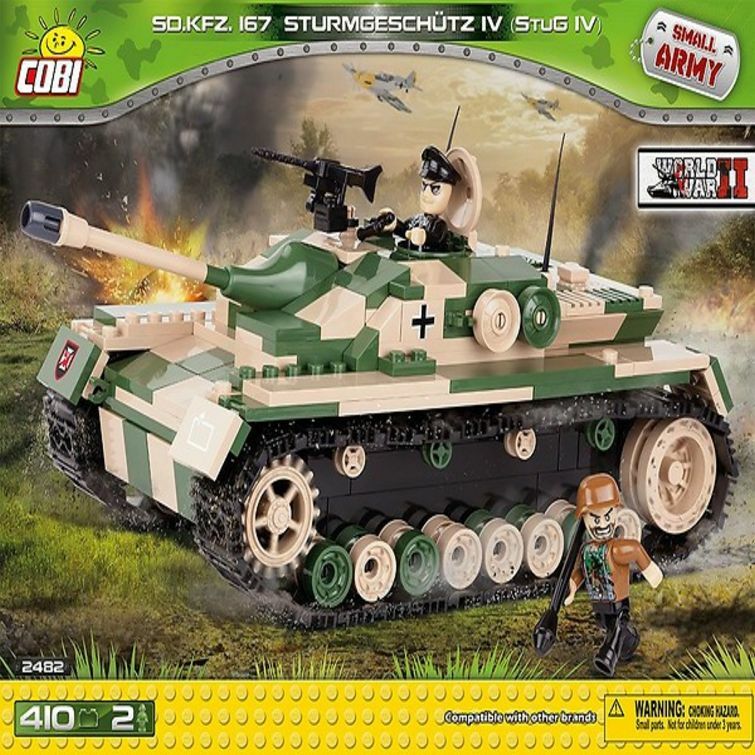 The Stug IV was a German self-propelled gun from World War II. It was the successor of well-proven Stug III. It featured a 75mm caliber cannon as well as the body armor its predecessor had. This new version featured the chassis from a Pz.Kpfw IV tank. In the years 1943 – 1945, there were around 1,100 Stug IV produced. 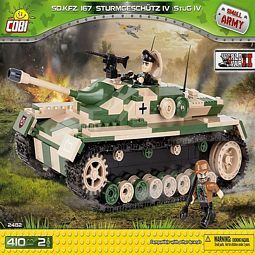 In this unique set, you will find a block replica of cannon with regulated barrel and operable trapdoor and bonnet. There are also 2 figures included complete with armament.